Over recent years online accounting has evolved to become the norm for many businesses. The key drivers have been the potential to reduce manual data entry and to enable an up-to-date view of a business’s finances. 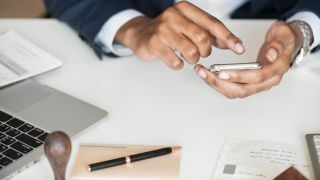 With governments racing to keep up with the pace of technological change, in the knowledge that many businesses have already embraced digital accounting, it was only a matter of time before an initiative such as Making Tax Digital (MTD) was announced. The landmark reform has now arrived in the UK, having come into effect as of 1st April 2019, impacting millions of British businesses. All companies above the VAT threshold of £85,000 must now keep digital records of their accounts and submit their VAT returns using MTD-compatible accounting software. Along with digitising the tax system, MTD also seeks to end annual tax returns. With MTD, businesses will be required to update their financial data – income and expenditure – every quarter. The move to digital record-keeping is intended to eliminate the errors associated with paper-based accounting. With the introduction of MTD, the UK government is aiming to make tax administration more effective, efficient, and easier for taxpayers with a fully digitised system. However, for those used to keeping records offline to date, the changes may well be challenging. The good news is that with a cloud accounting system, businesses can ensure that they meet all the MTD compliance requirements and keep financial operations running smoothly, yet not all solutions are created equal and there are several key considerations for businesses, which this article will explore. Manual data entry is not only a time-consuming exercise for accountants and businesses, but this inefficient process also increases the risk of errors and restricts productivity. Traditionally, even small changes made in each individual business application – an updated address, for example – meant replicating this same change across all other applications to ensure all teams have the same information. While this may be manageable on a small scale, as an organisation’s customer base grows, so do the number of transactions, and all it takes is a simple miscommunication of information between departments for a business to incur serious losses. One of the main advantages of digital accounting is that it avoids much of the usual time-consuming manual work. For example, online accounting streamlines the process of fetching bank feeds, automatically categorising transactions based on rules and can scan receipts to log expenses. This feature is ubiquitous across most cloud accounting solutions, but to what extent manual data entry is minimalised depends on the individual software – the use of artificial intelligence (AI) and machine learning, which is rapidly being implemented across business applications, may automate many more processes, which the average cloud accounting software may not. Accounting software should not operate in isolation; it will likely need to interact in some way or another with other systems that a business may use. This means that integration is key. Accounting solutions when integrated with tools from other verticals give a holistic picture. For example, information from the finance department should be available to personnel from sales and support to handle prospects and customers. Businesses should also consider how well their chosen software integrates with other third-party applications, as often this can be a costly and time-consuming process. Streamlined communication - via a central portal, for instance - is also important in order to ensure that the full benefits of integration are realised. As companies grow, accounting software should ideally scale in-line with this. Individual businesses will have different needs, therefore an effective cloud accounting solution should have the ability to scale back-office functions rapidly in response to business growth by adding users when more people need access, adding departments or functional areas and even adding entire organisations in the event of acquisitions; or conversely, adjust to reduce the size of the business during a downturn. Many cloud accounting applications also allow businesses to more easily operate internationally with multi-currency support. In our tech-infused digital age, workplace mobile users are universal, and undoubtedly many expect and need access to their accounting applications on the move, therefore enterprise accounting software should support multiple mobile platforms and be accessible from a variety of devices. For example, financial report templates and dashboards should be easily accessible, so that business decisions can be made and reports can be created regardless of location. Accounting software by default is expected to have strong reporting capabilities for internal use and for regulatory filings – usually this would include pre-built templates that will create a report with a click of a button and dashboards that can help those in accounting roles more easily interpret results. Additionally, the software should generate VAT specific reports such as VAT returns (calculates VAT liabilities), VAT Moss (tax owed due to sale of digital services) and commission earned through sales in the European region (EC Sales). Connecting with an advanced business analytics tool will further help business owners to slice and dice the data to gain actionable insights. Technological enhancements have undoubtedly facilitated a great deal of change in the accounting sector, and the arrival of MTD heralds a new era of opportunity. Embracing digital accounting will allow businesses to spend less time on entering data, removing duplicate entries, and minimising errors and free up time for strategic thinking, but a considered approach is important to ensure that maximum value is derived from the changes.